Are You Having Fruits Extensively…? 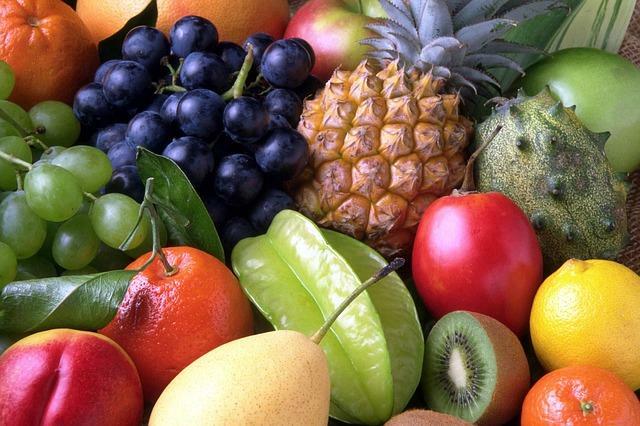 Undoubtedly, fruits are one of the most liked and most advised foods around the world. It is a fact that fruits have good nutritional value and your fruits baskets should have all kinds of it. But, it is also essential to have them in an organized fashion. When you have the fruits extensively, you will identify yourself with these signs. Fruits have a great reputation to cause bloating. Did you ever wonder, why it is so..? Fruits are one of the rich sources of fructose, which are incapable of digesting to the fullest extent. 40% of people who consume fruits extensively suffer from fructose malabsorption. When it remains in the small intestine, the bacteria help it to get fermented. Such changes lead to production of gas in our stomach and make us feel bloated. However, there is another argument, which contradicts this theory. It states that the presence of glucose enables easy digestion of fructose. Apart from fructose malabsorbtion, there are several other factors which contribute to diarrhea. In nature, the fruits are designed to carry seeds and give life to a new plant. These seeds when consumed are not completely digested by our body. It is said that an apple a day keeps the doctor away. However, it is not true in every context, especially when you are someone who is suffering from IBS. The presence of pectin in these fruits makes things worse when you have IBS. Do they really make you lose weight…? In your attempts of losing weight, are you having excess fruits? Then, you should take care of a few things. Having fruits early in the morning can reduce your food cravings and reduce your hunger for rest of the day. When you try to include too many fruits in your diet all the day, you are actually increasing the carbohydrate content in your body. This in turn increases the sugar levels in our blood. To compensate this increase in sugar levels, insulin is produced. In this process, the sugars are converted into fats. So, start blaming the fruit baskets along with junk food every time you put on some weight. The sugars can’t sustain for a long time in our body. Having fruits can make us feel full for about 30 minutes. After that, we again start feeling hungry. The major reason behind this is the low protein content in the fruits. The fiber content in the fruits is inefficient to prevent a crash in blood sugar. A seldom discussed effect of fructose is that it is no way helpful to produce leptin in our body. When we turn fruits into juices, the fiber content in them is likely to be reduced and the sugar content remains unaffected. This sugar remains are absorbed rapidly in our blood. Chewing the fruits can provide you better access to the sugar levels than consuming it as a smoothie. When you feel like having a smoothie, stick to the fruits which have low sugar quantities. We aren’t asking you to give up eating fruits; we want you to take reasonable amount of fruit per day. On every fruit basket delivery, be aware of the factors like your diet, physical activities and others to determine your fruit intake. Next : Why Your Company Should Go Omnichannel?